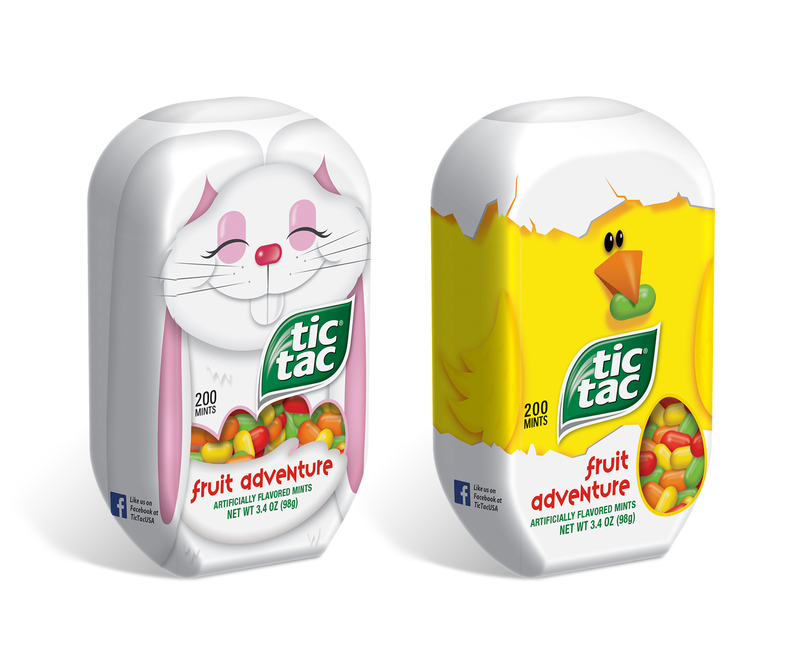 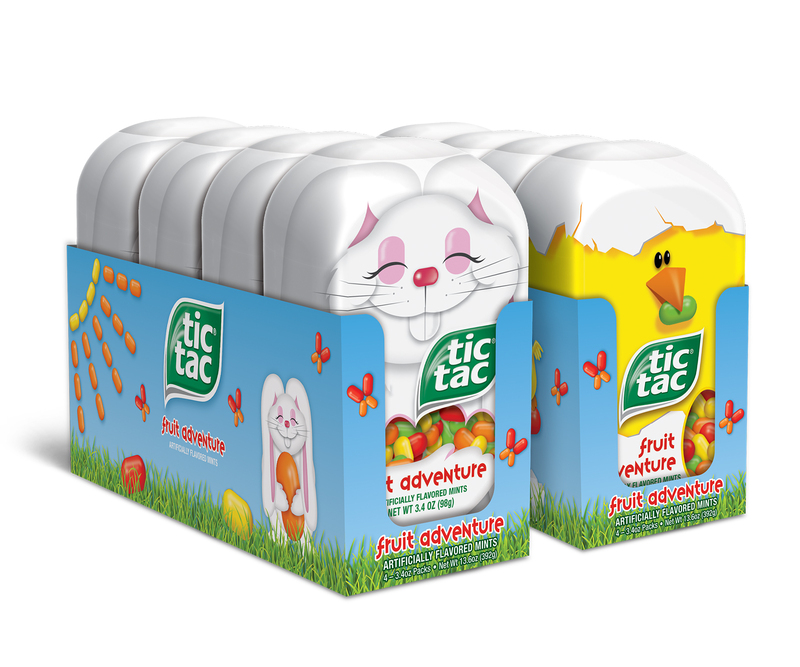 Tic Tac® Easter – Zucconi Idea Agency, Inc.
Tic Tac® is a brand that lives through the seasons right along with us, shaking things up with a little extra bit of fun, color and delight. 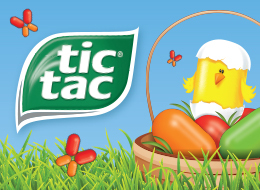 For this Easter-themed promotional package, we didn’t just add holiday imagery – we transformed the package itself into a chick, complete with shell. 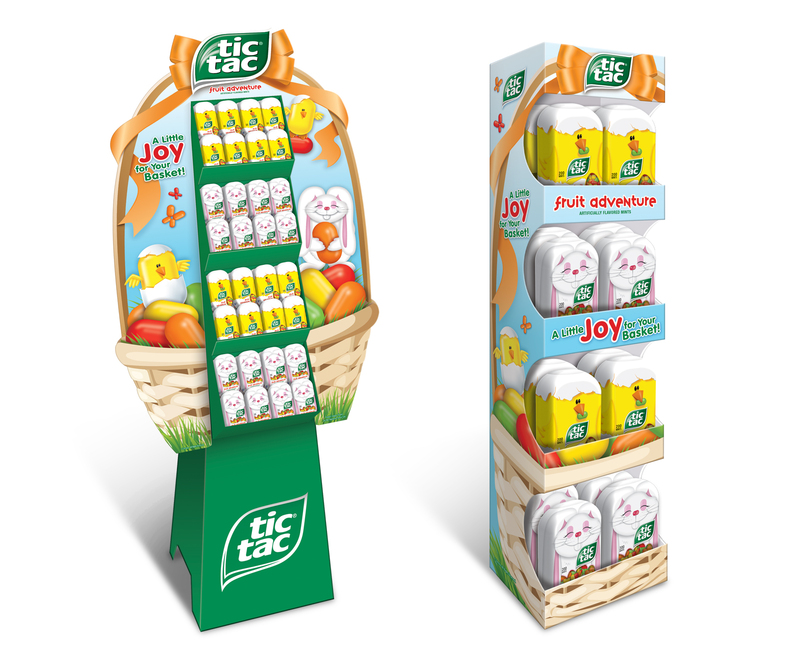 For good measure, we featured the just-hatched character on a display that merges brand iconography with seasonal iconography in a bright, eye-catching way.